KPF was selected by The Museum of Modern Art to serve as Executive Architect for a 630,000 square-foot renovation, rebuilding and expansion project in collaboration with the Japanese architecture firm Taniguchi and Associates. Kohn Pedersen Fox’s responsibilities include a significant portion of design development, coordination, preparation of all construction documents, and construction administration. The carefully considered design responds to the complex site and program demands of the Museum’s role as the preeminent international center for modern art. Taniguchi’s competition-winning design provides for a completely revamped internal organization that focuses on the centrality of MoMA’s renowned collection. The expansion allows the Museum to greatly increase the size of its existing gallery space. 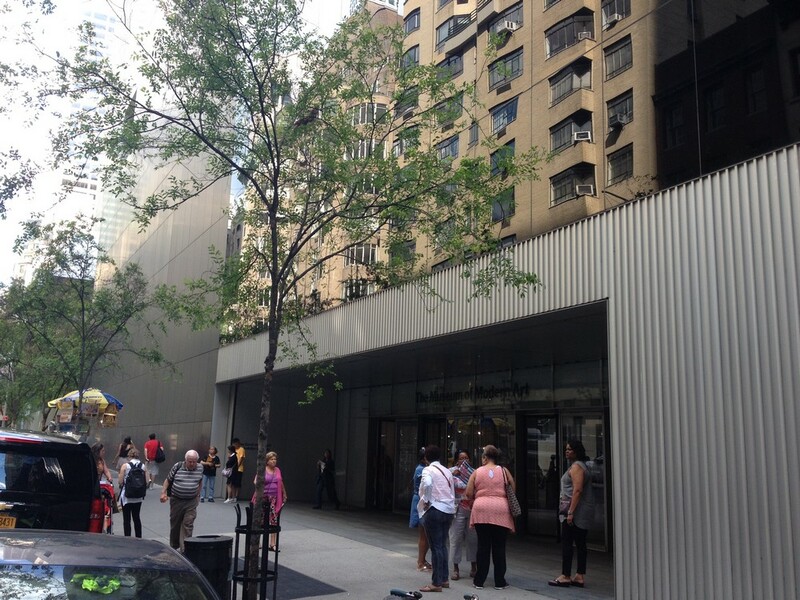 A new through-block entry connecting 53rd and 54th Streets reinforces the Museum’s integration within its urban context. 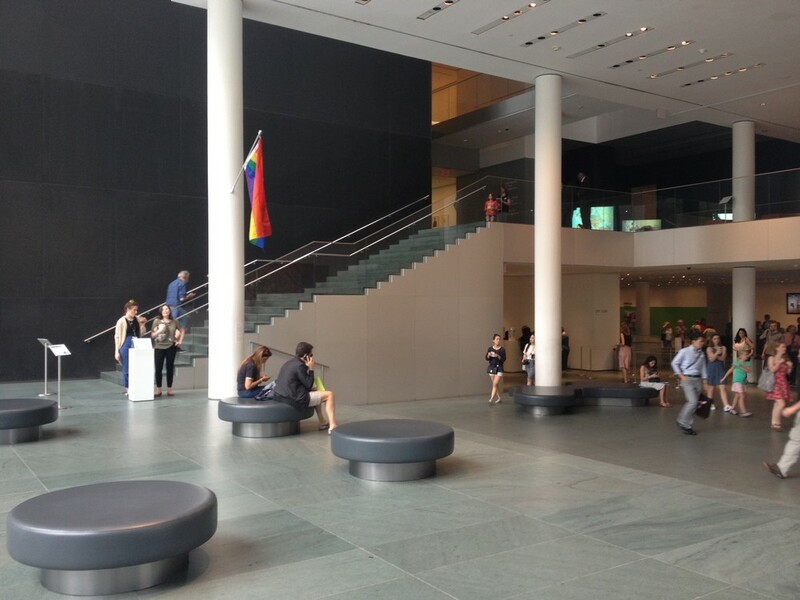 Galleries are vertically organized around a central atrium space, each a separate museum within a museum. 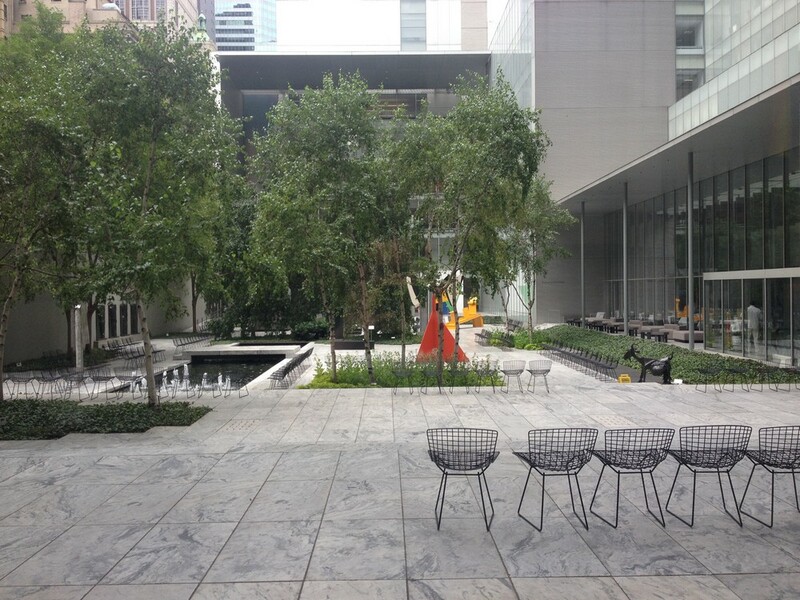 Administrative, curatorial, and educational facilities overlook the restored and renovated Sculpture Garden. Exterior set-backs and an interior atrium skylight provide ample opportunities for natural light. The clean lines of the exterior facade incorporate and adapt to the original building designed by Goodwin and Stone in 1939, as well as Phillip Johnson’s design for the subsequent expansion and Sculpture Garden, and the residential tower designed by Cesar Pelli in 1984. The result is an architectural collage that is reflective of MoMA’s crucial role in the ongoing definition of modernism. The Education and Research Building is devoted to research and education with classrooms, a lecture hall/theatre, library, archives, curatorial offices, study centers and screening rooms. 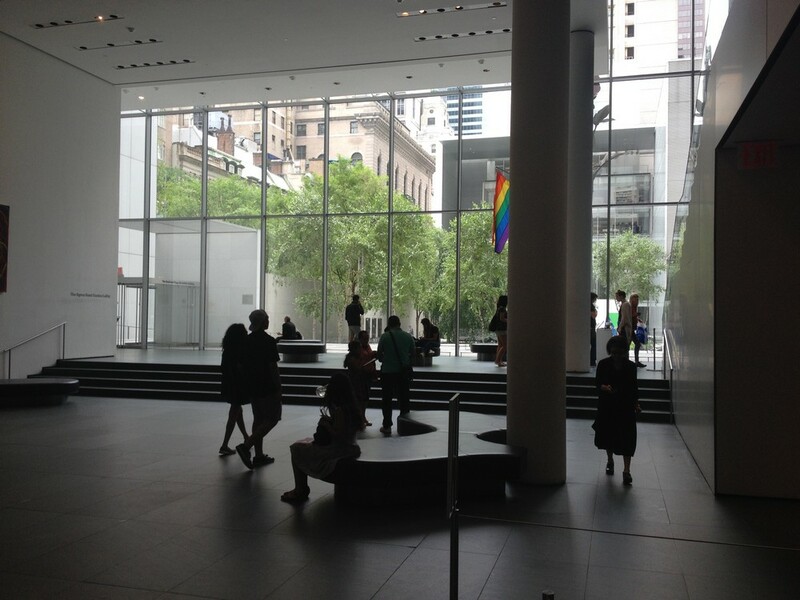 The building has its own lobby on 54th Street and a light-filled multi-use atrium. A second-floor corridor feature connects the Education and Research Building to the Museum II Building, East Wing and Gallery Building. The 4,200-square-foot new Galleries are located on the second floor of the historic, 1939 Goodwin Stone, 11 West 53rd Street Building. They are adjacent to the restored Bauhaus Stair Lobby Landing. Opposite are the Prints and Illustrated Books Galleries. The new Galleries replaced temporary museum offices that were relocated after the opening of the Education and Research Building in 2006. The new Galleries opened in mid 2008 with viewing material from the museum’s collections. A traveling Vincent Van Gogh exhibition, “Van Gogh and the Colors of the Night,” followed in late 2008. MoMA will occupy 69,000 square feet in the lower floors of a hotel and condominium high-rise development located immediately west of the existing museum campus. New exhibition galleries on floors two, four and five will substantially expand and connect to the existing galleries on these floors. They total 39,000 square feet, providing a 30% increase in exhibition area for the entire Museum. The block-wide flexible galleries on the second floor will have the capacity to bring in monumental art through a removable wall. The medium-scaled, architecturally distinctive galleries on floors four and five will exhibit masterpieces from MoMA’s modern and contemporary art collections.